Good luck on winning the honeymoon! I hope you win. Hi!!! 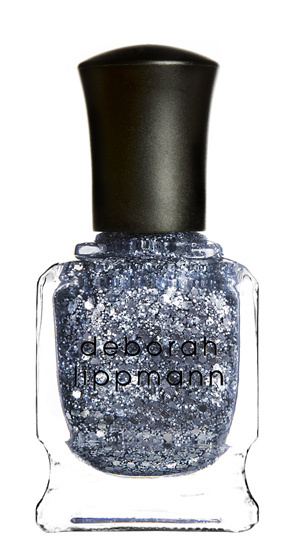 The colours of the nail polishes of the giveaway are perfect for Christmas!!! I follow you as Gondor Tari, and my mail is khelek18@gmail.com. My Facebook name is Laura Sánchez Murillo, and my Twitter name is @LauraSanMur. You just keep em coming!! I follow as you know under Carli, booteddybelle@hotmaiol.com. I blogged about yr giveaway on my giveaway page. I voted for you on Facebook. hello! i'm your follower via GFc as Jennifer. Hope you win The Honeymoon Prize!! Im a blog and twitter follower! and i did the comment for the honeymoon! i hope that you get it! Hi! I'm following you on GFC as Cheryl, and on twitter as ch3ryl89. I posted a comment on the Villa Botanica FB page as Cheryl Ng. I hope you get the honeymoon there, it looks absolutely gorgeous! I follow via GFC and I just added you to my Twitter (I'm on there as Smoochiefrog). great nail polishes! enter me, im already a follower! And I liked and posted on fb as Ria Kod. Hello thanks for this giveaway :) I've never tried Deborah Lippmann polishes but these two colour look divine!! Haha, I've never seen someone do so many giveaways! I voted for you on Facebook as Alexandra Donoho. Good luck! Thanks a lot for this giveaway!!! Hi, I follow your blog via Google Friend Connect as shala_darkstone. I voted on Facebook (FB name: Maddie Brubaker). I wrote on the Honeymoon page under Diana Cullen. Hope you win the prize! I'm a follower via GFC :]. I voted for you via Facebook and will email you my name :]. Wish you luck, wish myself luck too! A great giveaway! Following you as Rachel Marie! Hello! enter me please! Following on google, as fisiwoman. My follower name is Lii. I'm following you on twitter and my twitter name is SweetLii. I'm a new follower (and I'm burning through your old entries... your photos are so good!) My address is jenny@jenniferarmintrout.com. Hi I am a new follower via GFC. New follower here, thanks for the great chance! and I voted on Facebook, my name is Brooke Sliva :) Good luck! I wrote on FB (Alexandra Schnaider). Good luck! helloo i follow as jan87! I'm a follower via GFC - aDYa and I also facebook'd - Ajda Volovšek! Hi! Thank you for this giveaway! My name on GFC is Kay Lee and my email is ijxxx.poi[at]gmail[dot]com. 2. I wrote on villa botanica's wall. My name is Chi-Chi. I am the only Chi-Chi on the wall, plus my last name is crayzay (the adjective, my name isn't literally "crayzay"), so you can find me pretty easy. LOL. Good luck, I hope you guys win!! And thanks for hosting this too! good luck everyone! 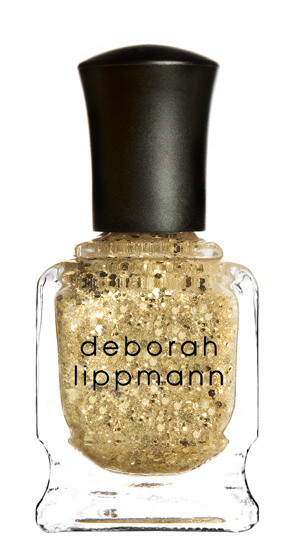 Though I must say I hope I win my first Deborah Lippmann Polishes <3!!! i'm a follower via GFC (Jenny)! I am a follower, my follower name is Abigail, e-mail is abbyisageek (at) gmail (dot) com. I sent you an e-mail with my facebook name and I follow on twitter (NicCharlie). I follow via GFC as indramcryan and on twitter as Angelica1405. 1. Hi, I'm a follower and I love your blog! 2. I follow through GFC as Bad Luck Baby and my email is sarahtrevarrow at gmail dot com. 3. I liked the page and voted for you. Good luck! My facebook name is Sarah Scholar Trevarrow. Hi! I'm Amy, I follow through GFC, username Amy. My email is abarker21(at)gmail(dot)com. I voted on facebook and will email you my name. ^that's also the fb name, I voted! and I vote on facebook, my fb name is carolane rodrigue. Thank you for having such a generous giveaway! Please include me in the giveaway. I Follow you on Google Frined Connect as makeupgirl21. My email is makeupgirl21@comcast.net. Thank you. Great giveaway! I've always wanted to try Lippman polishes! Wow, that looks like awesome nailpolish! I went to the Villa Botanica Weddings facebook page to vote, but I was too late! The contest already ended. I hope you win it! Congrats for winning the honeymoon! I'd love to enter, hope it's not too late! I'm a GFC follower with name rose.